I’m cooking microwave chicken in a crockpot kitchen and wondering why the meat is so tough. Few things are better than a crockpot. It is like a magic hot-hole that you can fill with anything that is high in fat. The only instructions that come with this brilliant device are to plug it up, throw some ingredients in with it, lay on the couch for a few hours, take a nap, and voila! Whatever is in the pot can be eaten with a ladle and topped with ranch or bar-b-que sauce. The crockpot is a miraculous little invention. 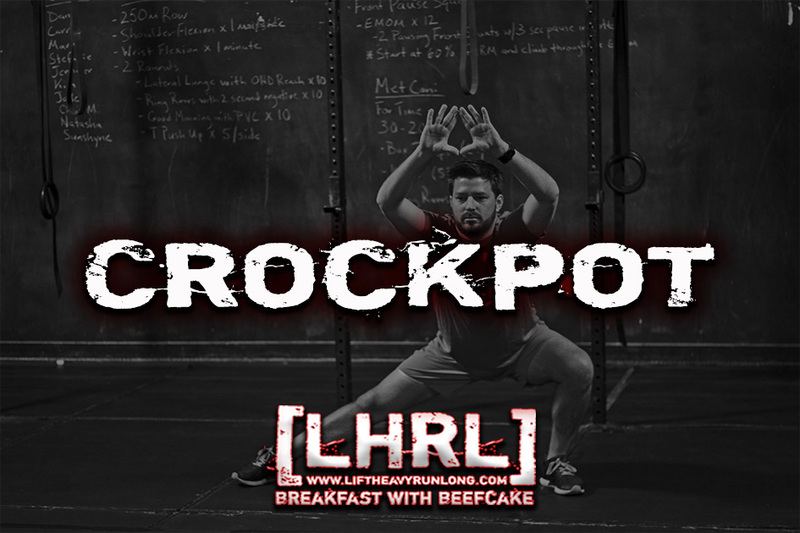 The problem with a crockpot? It takes time. I want my results now. Even when I am guaranteed quality food everytime I use the crockpot, I still sacrifice quality for convenience and cook most things in the microwave. About 1/3 of the time, I will complain about my microwaved food, as I am eating it. The universe prepares my life to be served using a crockpot to cook the results. Instead of enjoying the ambiance, I am bitching at the chef that I am hungry, in a hurry, and need to eat now. If I throw my work into life’s microwave, I can expect some pretty bland results. Trying to speed the process will only toughen things and dry it all up. Understanding that results take time, and the same chef has been running the same kitchen for many, many years allows me to enjoy the experience, appreciate the company, and look forward to the quality of things being prepared for me. Don’t settle for the microwave. Plug-in, put in the work, stay busy, and wait until it’s tender, warm, and right.